Congratulations to Michael Cooper, winner of last week's Friday Freebie: The Heart of Everything That Is by Bob Drury and Tom Clavin. 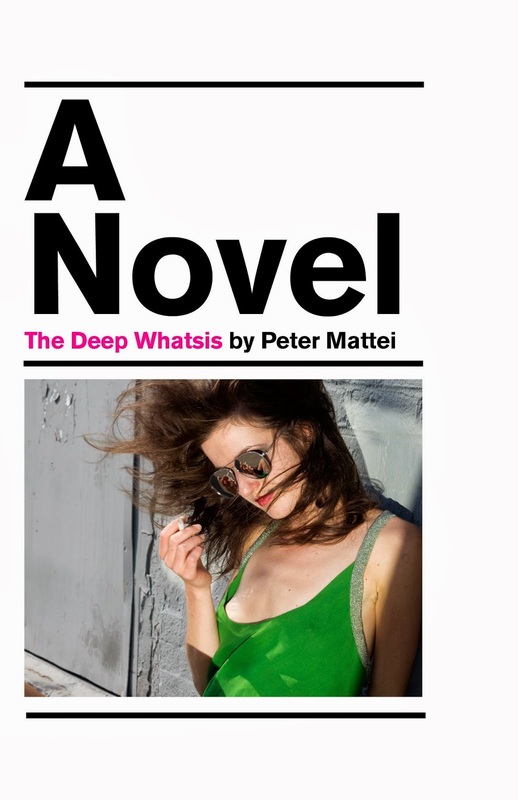 This week's book giveaway is The Deep Whatsis by Peter Mattei. Here's the whatfor from the whozit publishers: The Deep Whatsis follows a brilliant antihero staggering into madness as he navigates among Brooklyn hipsters, advertising tyrants, corporate hypocrisy, and the ghosts of his past. Meet Eric Nye: player, philosopher, drunk, sociopath. A ruthless young Chief Idea Officer at a New York City ad agency, Eric downsizes his department, guzzles only the finest Sancerre, pops pills, and chases women. Then one day he meets Intern, whose name he can’t remember. Will she be the cause of his downfall, or his unlikely awakening? A gripping and hilarious satire of the inherent absurdity of advertising and the flippant cruelty of corporate behavior, The Deep Whatsis shows the devastating effects of a world where civility and respect have been fired. Here's what Kate Christensen, author of The Astral, had to say about the novel: "With zingy, hilarious glee, Peter Mattei takes a sharp stick and pokes it at many deserving underbellies: the puffery of corporate America; hipsters, yoga dudes, and the general pretentiousness of north Brooklyn; and many more. The Deep Whatsis is a provocative, darkly subversive, deeply satisfying novel." Put FRIDAY FREEBIE in the e-mail subject line. One entry per person, please. Despite its name, the Friday Freebie runs all week long and remains open to entries until midnight on Jan. 23, at which time I’ll draw the winning name. I’ll announce the lucky reader on Jan. 24. If you’d like to join the mailing list for the once-a-week newsletter, simply add the words “Sign me up for the newsletter” in the body of your email. Your email address and other personal information will never be sold or given to a third party (except in those instances where the publisher requires a mailing address for sending Friday Freebie winners copies of the book).